Our sin may be grave and many, but when we encounter Jesus, He will wash us clean and help us to begin anew, because His grace and mercy is great and it endures forever. Let us learn from him to keep doing good and living a good life in the name of Christ and never look back, so that we will be able to receive the reward of eternal life at the end of time. *Watch-Word:* Go into all the world and proclaim the Gospel! 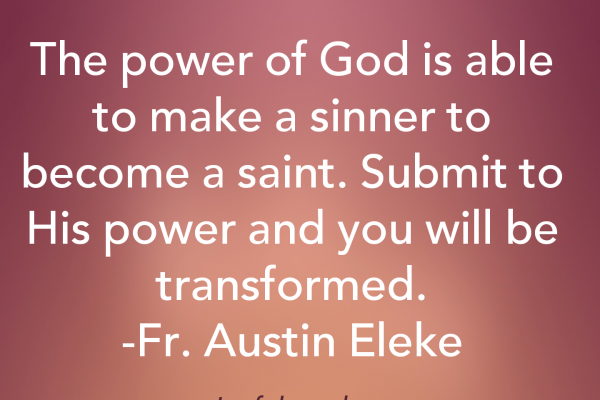 The power of God is able to make a sinner to become a saint. Submit to His power, His light will shine upon you and you will be able to see again.#Touch me Oh Lord!